Edwin’s love of music started early in his life when he listened to the Grand Ole Opry every Saturday night on the radio. His passion for playing the guitar started in 1964 when he saw the Beatles perform on the Ed Sullivan Show. He immediately purchased his first guitar, an inexpensive Gibson electric. 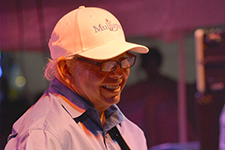 Playing a little during the many years he dedicated to building and running his company Edwin Watts Golf, his passion for playing was intensified when his wife Mary, gave him a vintage Gibson Les Paul for his birthday. Edwin applied the same drive and determination he did in business to being a good guitar player and forming a great band. As founder of The Mulligans he has succeeded in doing just that. Steve started playing guitar in 1967 at age 11. Within a year he switched to bass, and stayed a bass player for the next two years before embracing guitar again as his main instrument . Even though guitar became his main focus, Steve continued to keep his bass playing going allowing him to be able to participate in a variety of different bands and musical situations. At 13 years old he joined a local traveling USO show which was his first real band and by age 14 he was a professional musician. Steve was fortunate to be groomed by an agency very early learning what it took to really make a living as a musician. Most of his early teen years were spent playing the military circuit from Tyndall AFB in Panama City, Florida to Mustin Beach in Pensacola, Florida. 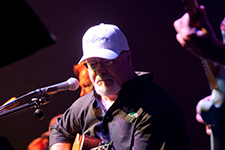 Steve has played in everything from show bands and top 40 club bands to duos and trios doing acoustic music. Steve’s music career experience has been very rewarding. He has met and played with many great musicians. During the ‘70s Steve was privileged to play on the same bill with Lou Rawls, Dave Brubeck and Sons, Oliver, The Brothers Four, Billy Joe Royal and later Johnny Paycheck. After returning from a brief road tour of the Midwest in ’74, he settled back in northwest Florida, playing everything from blues, country, rock, R&B, and even a couple of jazz influenced groups. 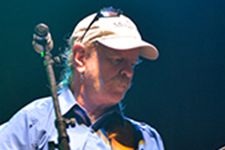 Steve started teaching guitar and bass in the mid ‘80s, giving private lessons in the Florida panhandle area. He also does session work and pickup work for different local artists who need a guitarist or bassist. Currently Steve is the band leader for The Mulligans and he is working on some new original tunes. He loves playing for an audience and is always looking forward to the next gig! Ray like many musicians, started playing in a garage band in junior high school. 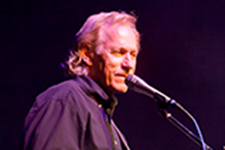 He sang in some talent shows with his brother David in the late ’60s but didn’t seriously start playing guitar until he attended college in Austin, Texas in the early 70’s. At the age of 11 Ray watched The Beatles make their first American live television appearance on The Ed Sullivan Show on February 9th, 1964. He asked Santa for a guitar for Christmas and in 1964 got his first guitar, a Sears Silvertone. The action was so high you could slide a pencil between the neck and the strings with no problem. Dan played guitar since he was 16 and was influenced early on by Elvis and the Beatles. He played solo most all of his musical life putting himself through Iowa State playing private parties and local pubs for spending money. Dan flew jets in the Marines for 10 years and played at squadron parties providing comic relief and songs tailored to departing pilots. In the summer of ’77 during a tour as an instructor pilot he played at Seville Quarter in Pensacola, Florida after winning a talent contest sponsored by the Pensacola Naval Air Station. There he met his wife Dottie and they have been happily married for over 40 years. 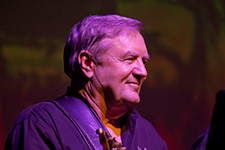 Dan continued to play guitar and harmonica throughout his flying career from which he recently retired after nearly 32 years with Southern Airways/Republic Airlines/Northwest Airlines/Delta Airlines. His taste in music varies greatly. Dan does an Elvis act for private parties and also plays for the folks at a local assisted living facility nearly every Sunday afternoon. The Mulligans is his first band and a very unique, fulfilling experience for him! Tim’s musical journey began at age 8 after watching the Beatle’s 1964 performance on the Ed Sullivan show and two Christmas’s later receiving his first guitar. In Junior High, after discovering his size was a bit small compared to several other players he butted football helmets with, he decided to take up drums in the school band getting his first drum set at age 13. After playing in a few garage bands and driving his poor mother crazy playing Wipeout, the theme to Hawaii Five-O over and over he ventured back to the guitar with the inspiration of musicians like James Taylor, John Denver, Crosby, Stills, Nash &Young, Dan Fogelberg, The Eagles and Bread. He played guitar throughout his Naval Career first as a CH-46 Helicopter Crew Chief and then as an Explosive Ordnance Disposal Technician. After retiring in 1997 he went to work at Edwin Watts Golf, but after a year changed career paths and spent the next 7 years as a golf club technician on the PGA Tour assembling, repairing and adjusting/calibrating golf equipment for the PGA professionals. During this time Tim jammed with many of the tour professionals who shared his love of music. 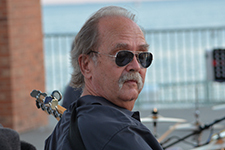 Besides playing with The Mulligans, Tim performs an acoustic solo guitar act at several local establishments and still finds time for his other passions, riding his Harleys, Antique Car & Motorcycle Shows, diving for prehistoric shark teeth(Megalodon), barefoot water skiing and anything else that gives an adrenaline rush. Tim lives by the motto…life is short…play hard! Brad Sanko has been playing the piano since childhood and really began to play publicly in his teen years when he learned that he could “play whatever he heard.” He earned a Bachelor of Arts in Church Music from Lee University in 1994 and began serving as a Minister of Music in Churches. 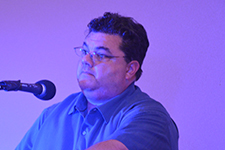 Most recently, he came to St. Paul Lutheran Church, Niceville in 2013 and serves as Director of Music and Youth. He also entertains as a pianist/vocalist/self-proclaimed comedian at local restaurants and nursing facilities. Though trained in many classical and modern genres of music, Brad prefers to perform the songs of his childhood record collection, most of which are represented in the repertoire of the Mulligans. Harry’s musical career began at age 8 when he was inspired to play drums by listening to his parent’s record collection of Sandy Nelson, a popular 60’s drummer. He started his music education in Junior and Senior High School, playing in the concert, marching and stage bands. At the same time he jammed in many local bands playing jazz, country western, R&B, rock and top 40 music. He played on the road in Florida, Mississippi and Georgia during the 70’s and 80’s. In the early 90’s, by fate, he met a gentleman who designed and built Electronic Percussion instruments (Hart Dynamics Inc) which led to a 20 year career, starting as an assembler and working up to production manager. 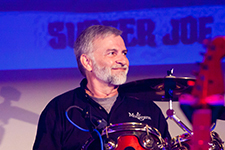 Harry has enjoyed a 44 year career as a drummer musician providing drumbeats, drum tracks and drumming performances for many bands. Harry and Steve Spayde have been friends since 1974 and have played together in numerous bands through the years. Greg brings years of talent to the band. He began playing in 1969 and enjoys the bass and piano. He has been a part of the local northwest Florida music scene for many years and a friend of Steve Spayde for most of his life. In fact, Greg and Steve played together in a band called Paragon in the mid 1970’s. Primarily self taught his musical tastes vary from jazz to rhythm and blues and soul with Yes, Steely Dan and Sting among his favorite bands. Besides playing with the Mulligans Greg is also part of The Praise Band at his local church as well as playing with another local group called Lucky Henry.